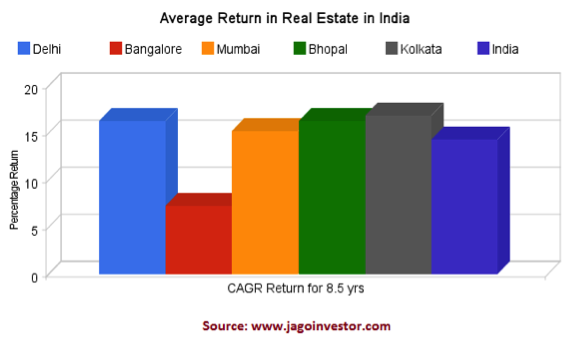 Real Estate in India is characterized by frequent boom and bust cycles, as a result, prices in Indian metros, Tier 2 and Tier 3 cities can fluctuate constantly. Prospective buyers constantly seek pricing information in their desired locality, and this can be a challenge for working professionals. Off-late, Realty Portals like Clapdoor publish pricing statistics for listed localities. These provide useful insights on price that can aid decision making for prospective buyers. Some of this information is presented neatly in a graphical manner for quick comprehension. Clapdoor for instance displays graphs and charts that enable an objective analysis of property prices, and monitor trending of rates over time, and across neighborhoods. The visualizations are built by leveraging a comprehensive set of internal as well as trustworthy external data sources. One can choose a locality on their site and get information on the number of properties and active projects which come from their listings. The average price of these properties is also listed. When the user clicks on a link for these properties, one arrives at a summary page where summary information of all the properties is published, and this includes prices. The benefit is that, one can compare the price of a property against the median price in the locality, and the difference in price can give an indication of the amenities in that project. If the difference is too large, one is bound to be curious and a detailed enquiry can allay any suspicion. Also, when a particular property is not listed, the user can investigate if there are any pending litigations or issues with that project. This way, pricing statistics not only makes the financial planning easy, but also prevents sticky situations arising from incomplete information, and helps buyers through clean and hassle-free transactions. This entry was posted in buyer experience, clapdoor by clapdoor. Bookmark the permalink.